Last time, I wrote about motherhood as a “career,” as an identity. But there’s an important second chapter to that discussion. How does my faith come into this? What does identifying as a Christian mean for my struggle to feel worthy, to find value in what I do and who I am? How should my beliefs affect my identity? These were mysterious ideas to me. My identity was in being a high school senior, a varsity cross-country runner, a violist. My worth resided in my hard and consistent work at everything I tackled, my good grades, and how I was hopefully headed towards an Ivy League school for college. What did “finding one’s identity in Christ” really mean? A decade and a half later, and I am still figuring it out. (If you want to read the really long version of my faith journey, you’ll find it here.) The Bible has a lot to say about this – but like most aspects of my faith, just because I read something once (or a few times, or a few dozen times), doesn’t mean that it then gets stored away in my memory, ingrained in my head and heart, and automatically accepted at face value as a Truth To Live By. It means I struggle with it and question it and talk about it and swear by it and swear it off and then beg God for forgiveness for my doubt. But it doesn’t mean that I don’t want to believe it, or that I don’t actually think it’s true. I’m just not a faith-with-no-questions kind of gal. One of my primary struggles with identifying as a mom, with the idea of motherhood as an identity, as a career, is that I tend to place my value in my accomplishments, in the things that I HAVE DONE. When I identify as a Christian, I acknowledge that my worth is not at all about what I HAVE DONE – but relies instead on what someone else has already done for me. I have no part in establishing my worthiness, proving my value. Jesus Christ died, nailed to a cross, as a ransom for all – for me (1 Timothy 2:5-6). A ransom. A sum of money or other payment demanded or paid for the release of a prisoner. When I identify myself by the things that I do, I am living as a prisoner – a prisoner to the title that I want and the things that I accomplish. And this is as true for me as a mom as it was for me as a full-time arts administrator, a violist, and an over-achieving-type-A high school senior. Christ’s death on the cross frees us all from our need to accomplish, from our tendency to define ourselves by our works. 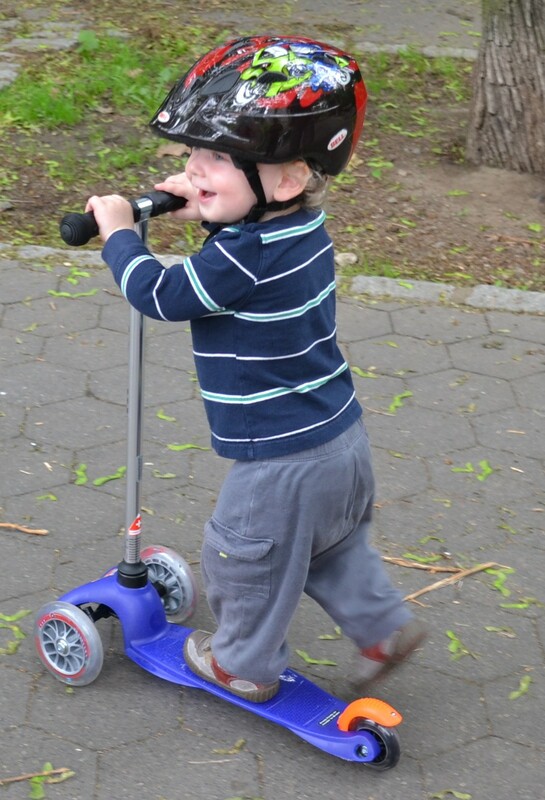 These days, I often identify myself not by my own accomplishments, but by my son’s – his improvements on his scooter or his very-slowly-growing vocabulary. His almost uncanny focus on music and how adorable he is when he dances (and, obviously, adorability is a direct sign of talent, right?). But even these things make me a prisoner. When we hang out with a friend whose daughter says 150% more words than my son or whose child has already mastered the scooter, and I’m in an insecure, resting-on-my-own-achievements kind of place, I feel bad. I can’t enjoy the companionship because I’m jealous or overly sensitive or suddenly filled with doubt. A surprisingly large handful of friends or acquaintances all ended up with very close due dates this month. I’m the only one left with a baby still growing in my belly instead of my arms. Instead of rejoicing with these ladies, I think, What’s wrong with me? With my baby? Why hasn’t she been born yet? I am living as a prisoner to what I can do, what my son can do. The Bible is filled with reminders about how being a Christian should free me. Believing that Christ accomplished the most important work for me saves me from my need to define myself by my own accomplishments or feel worthy because of something that I’ve done. The world, to just one person. My identity is in what Jesus Christ has already done. Such wise words! Thanks for your insight and encouragement. It’s great to hear from you! You might have seen a magnet on my fridge, “You are unique – just like all God’s other children.” It was my Dad’s way of saying that I am special, but that I am not the only one. You make me think of it. You are unique. So is Jacob. No one person is like another. God made each one different. He makes a point to say, even though we are all members of one body, we do not all have the same function. We all grow at different rates and learn different things in different ways. You will have that baby. Jacob will develop an extensive vocabulary. (By the way – you certainly know that girls tend to learn to language faster than boys.) Our daughter Beth took a long time to get each sound right. My mom even wanted us to take her to a speech therapist, but I knew she would eventually get it. Well, you know her. What do you think? Many years ago I realized that I was trying desperately to conform to what everyone else was doing. I wanted them to think well of me, and I wanted to think well of myself. Somehow I realized that the only judge who matters is God Himself – not my friends or my family or even myself. Lean back and rest in His arms. Listen to Him. “Come unto me for my yoke is easy and my burden is light.” You are unique, and you are loved. Love this! Thank you for taking the time to write and share your wisdom and experiences. There is so much truth to what you say.